This year marks 50 years of the magazine, published by Bauer Media. The title was launched as a bimonthly in 1966 with a cover price of 40 cents (pictured above). The title has evolved in parallel with the Australian food landscape, editor Anthea Loucas stated. “Australia is a powerhouse in food and Australian Gourmet Traveller reflects that. That’s very much the approach we are taking with our 50th anniversary edition. 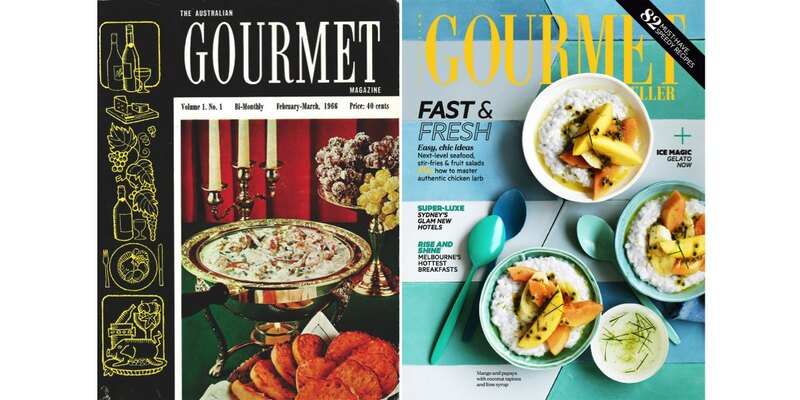 “The first issue of Gourmet Traveller was a very different magazine to the magazine you see on the news stands today. How does the brand compete with the surge in user-generated content? Loucas welcomed the competition, saying the Gourmet Traveller brand does half the job of differentiating its content from the noise. “Long before Instagram, we published photos of food in magazines and then online…we started in 1966,” Loucas said.